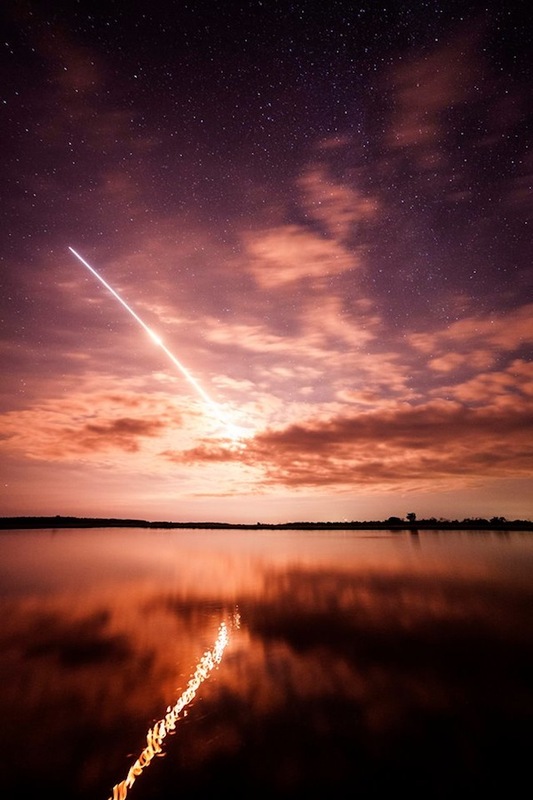 Observers from North Carolina to New Hampshire captured spectacular views of Friday night's launch of a Minotaur 5 rocket from Wallops Island, Va. 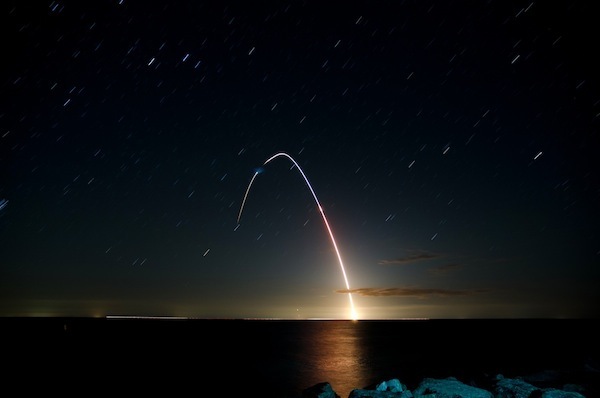 The 80-foot-tall rocket launched at 11:27 p.m. EDT Friday (0327 GMT Saturday from NASA's Wallops Flight Facility on Virginia's Eastern Shore. 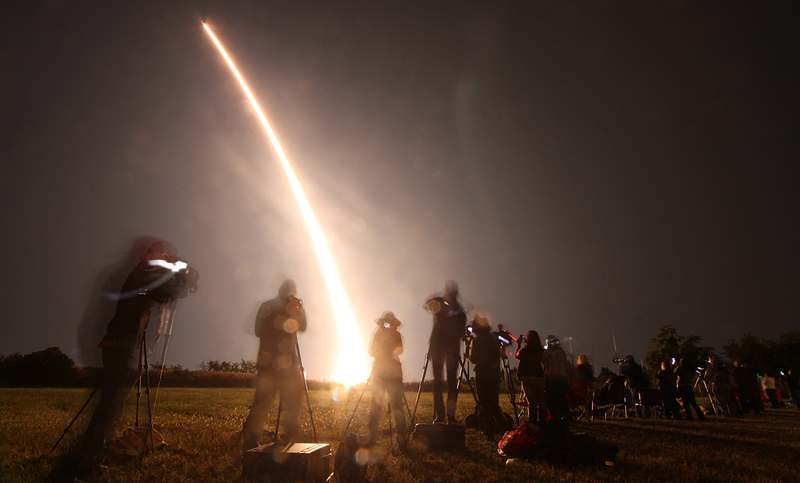 The five-stage launcher delivered the LADEE moon orbiter to space about 23 minutes later. 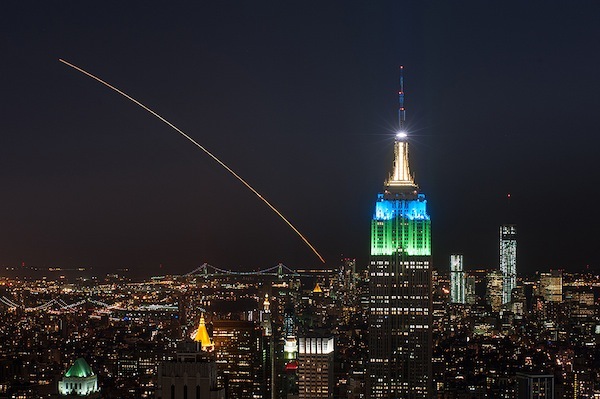 We present a few of our favorite photos of the launch captured from afar. 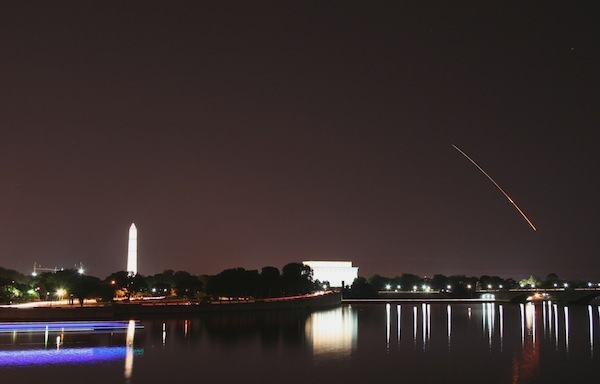 Orbital Sciences Corp. shared this image of the Minotaur 5's ascent from Washington, D.C. See a larger image. 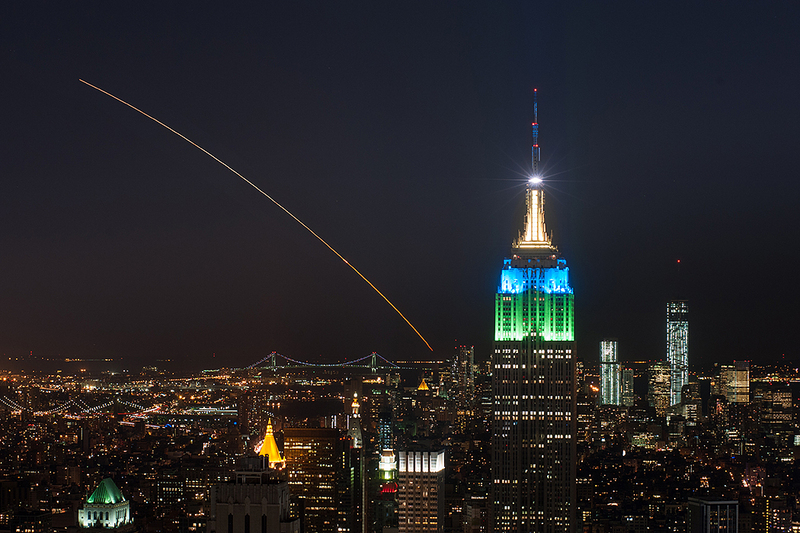 Credit: Abraham Ng/Orbital Sciences Corp.